Are you interested in free holiday ecards for kids? Take a look at Greetings Island. It has a collection of greeting cards and invitations that can be downloaded, printed, or sent online. Have your children or students send electronic greeting cards to friends, family, or classmates. Ecards are a great way to let someone know they are important. The gesture of sending a greeting card can mean a lot to the recipient. It can also help people stay connected. Aside from the personal connection, sending ecards has educational value. Children can practice their writing skills. In addition, it is a relevant way to communicate digitally with others. Free holiday ecards for kids are a great way to promote digital literacy. What makes Greetings Island a fun place to send ecards? Fast and Easy! It is simple to make a card. The icons make it easy for young children to know which options to select. Personalize It: Kids can upload a photo from their device. This adds a personal touch. Suggested Greetings: Emerging writers can select from a bank of text options, without having to write their own message. No Email Address Required: If the sender is too young to have an email address, they can download the ecard or print it instead. Lots of Choice: Holiday greeting cards are fun to send – but so are Get Well, Good Luck, Teacher Appreciation, and Thank You cards. Greetings Island has a wide range of categories. Before you start having everyone in your classroom or home sending ecards, you should visit Greetings Island first. Explore the site to view the selection in the online collection. This will help you to direct younger children to appropriate categories. For example, Funny has some cards that include text or images that might not be suitable for your age group. However, the category Kids has some great options that kids will like to send. If you want more options for sending ecards, check out Free E-Card Sites for the Classroom. Since Greetings Island is free, there are advertisements. Some ads link to different card sites. This can be confusing to young users. It is recommended that before having your students or children create ecards, give them a quick tour of the site. Help them to differentiate between an advertisement link and a card selection. Ecards are one way to promote digital literacy. You may also want kids to send email, chat, or post on social media safely. 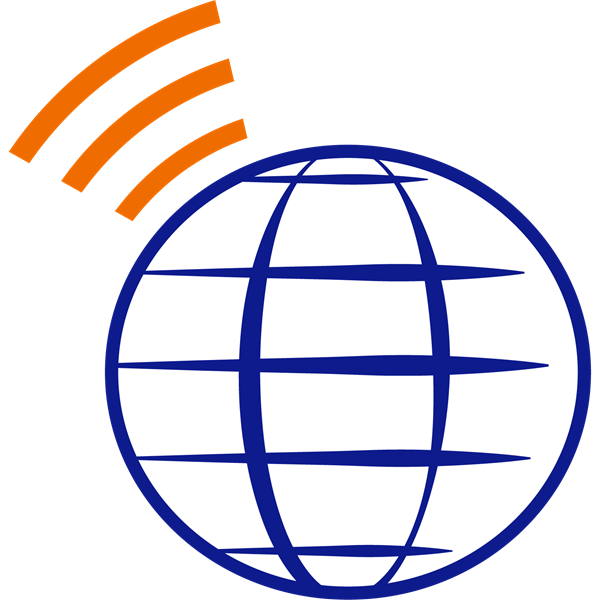 TechnoInternet has many activities designed to teach safe online practices. TechnoInternet has a collection of digital literacy activities for kids. 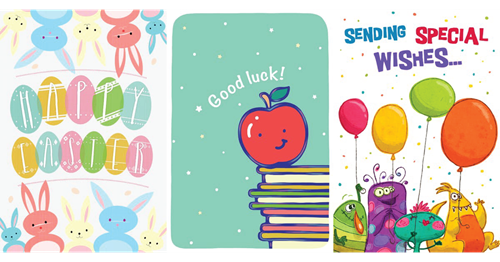 Have your students sent and received online greeting cards? Here are some tips to make finding, sending, and receiving e-Cards in the classroom a fun, easy, and worthwhile activity. Try Different Web Browsers: Some e-Cards need the Flash program to show the message. If your web browser will not play Flash animation, try another web browser. Do Not Click on Advertisements: Free e-Card services have advertisements. They will redirect you from the website. Ignore them. Pick a Suitable Card: There are many different e-Cards. Some may not be for kids. Look for keywords such as Children or Kids to find those for your age group. Find Cards that are Free: Some e-Cards require a subscription or payment. Look for keywords such as free. Be Creative: Often when sending an e-Card you can add a note, pick a design, or select the music. Add a personal touch! Do Not Join a Mailing List: Some e-Card services ask you to add your e-mail to a mailing list. This will cause you to get lots of junk mail. Do not check the box for this option. Ignore Free Trial Options: You may visit an e-Card website that asks you to fill out a form for a free trial. Often you can ignore this option and still send an e-Card. Have Patience: When you send an e-Card it may take time to reach the person. Do not worry! They will get it soon. Check Your Junk Folder: Did someone send you an e-Card? Check your Junk, Trash, or Clutter folder. Move the message to your Inbox to view the e-Card. Send a Link to an e-Card Video: If you are having trouble finding a free e-Card service, send a link to a video greeting instead. Search the Internet for a suitable video. Write an e-mail and include the video URL in the message. To view a list of free e-Card sites, click here. To read 10 reasons why sending e-Cards in the classroom is an appropriate and worthwhile technology activity, click here. To teach online digital literacy, internet safety, search strategies, and research skills in a fun way, click here. In my last post, I recommended using e-Cards in the classroom for a variety of reasons – curricular as well as motivational. To get started, here are some suggested sites to find free e-Card sites, as well as comments on their advantages and drawbacks.